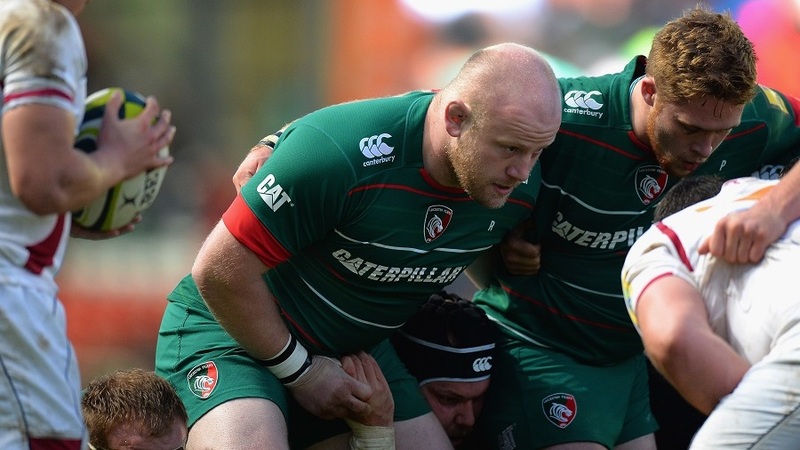 Leicester coach Richard Cockerill insists England prop Dan Cole will not be fit for the remaining autumn internationals despite making a successful comeback in the Tigers' 29-13 LV= Cup win at home to Sale. Cole, who has been out for nine months after neck surgery, played the last 32 minutes of Leicester's win at home, their second in a row which kept them top of pool three. But while he admits Cole will provide a huge boost to England's front-row when fit enough to return, Cockerill says the prop will not be ready for any of the upcoming internationals against South Africa, Samoa and Australia. "I think it's too early for Dan to play, he has not played for nine months," Cockerill said. "He played just 30 minutes today so it's unrealistic to throw him in against the Springboks, or even Samoa and Australia. "He needs to get back to full fitness, and we also have to look at the bigger picture, the next 10 years for us and for England the Six Nations and the World Cup. "Coley will be so important to England if they are going to win the World Cup. He could potentially be the difference. So short term, the next three weeks, is irrelevant to Coley. The Six Nations is a realistic target and then it's the World Cup. "He is one of England's major assets so I don't think you can risk Coley's fitness in the short term for his long term health and England's World Cup chances." Cole, 27, echoed his coach's words, saying it was unrealistic to start thinking of England. "I'm just concentrating on Leicester," he said. "I have played 30 minutes of rugby after nine months out so I'm just happy to be on the field.